We know most of us probably can’t take another seven-game series. May. 26, 2017, 1:34 p.m. The 2017 NHL postseason has had its share of upsets, unsung heroes, overtimes and Game 7s. Finally, we’ve reached the Stanley Cup Final. Thanks to Chris Kunitz’s goal that came 5 minutes, 9 seconds into the second overtime of Game 7 against Ottawa, the Pittsburgh Penguins will be making their sixth appearance in the Stanley Cup Final. They’ll meet the everybody’s new favorite team, the Nashville Predators, in their first Cup appearance in franchise history. The Pens are survivors. Despite winning the Cup last season, their journey this year has been an uphill one. They lost their best defenseman before the postseason even began, then lost their starting goaltender in warmups before the first playoff game. They beat a Columbus team that was more interested in beating them up than winning a series. Then they beat the President’s Trophy winners in seven games. Then they outlasted — in another seven games — a Senators team that seemed to have everything going for them. The Pens are beat up, they’re exhausted, but most importantly, they’re resilient. The Preds are the upstarts. They came into the postseason with the least amount of points but rolled right through the Western Conference on their way to the Cup Final — their fans screaming, chanting and singing in unison each step of the way. Now that upstart team and those chanting fans have a chance to knock off the defending champs. 1. The Pens are stronger down the middle. The Penguins’ strength is their depth and talent at center, and they’re going to hold an advantage at that position against all possible opponents they could face. But when you look at what Nashville has to offer to try to match the Pens’ prowess, well, it’s pretty lopsided. No, those names aren’t fake. Those guys do actually play in the NHL. Losing Ryan Johansson creates a huge void for the Preds that will eventually catch up to them in this series. And even though Colton Sissons has been a surprise hero for Nashville, and Mike Fisher could be close to returning from injury, too, slowing down Sidney Crosby and Evgeni Malkin is going to be a matchup nightmare. Fortunately for Nashville, their centers will have some help. 2. The Preds are way stronger on defense. While the Pens are a patchwork group on defense, the Preds’ strength of their team is their blueline. It may be the best overall group in hockey today. Their defense is so good, it’s actually become their best offense. The Nashville defensive corps has a league-high 11 goals to go with 31 assists this postseason. To put that into perspective, Nashville skaters have accrued 122 points in the playoffs so far, and their defense has 42 of them — that’s almost 35-percent of their scoring. It doesn’t stop there. During the regular season, the Preds tied San Jose for the most points (181) scored by defensemen, led by Roman Josi with 49. They don’t just score points, either. Perhaps their most well-known defenseman, PK Subban, has been shutting down opponents’ top-scorers all postseason. Jonathan Toews, Vladimir Tarasenko and Ryan Getzlaf were limited to just three goals in 16 games with Subban matching up exclusively against them. You have to assume Subban will see plenty of Crosby in the final. If the Pens get past the Preds’ defense, they still have to deal with Pekka Rinne, who has a .941 save percentage and 1.70 goals against average in 16 playoff games this year. Good thing for Pittsburgh, Matt Murray has stepped up in his five games, with a playoff-best .946 save percentage and 1.35 goals against. 3. Home ice could be the deciding factor. Both teams are at their best when they’re in front of their home crowds. The Pens are 7-2-1 on home ice this postseason, and went an incredible 31-6-4 at the Paint Can during the regular season. As impressive as all of that sounds, the Preds have actually been better at home. Nashville is 7-1 at home in the playoffs with a goal differential of plus-12. Their success is buoyed by a home crowd that has been nothing short of insane since the postseason began. Bridgestone Arena is basically the best party you’ve ever been to multiplied by the thrill of watching NHL hockey live. 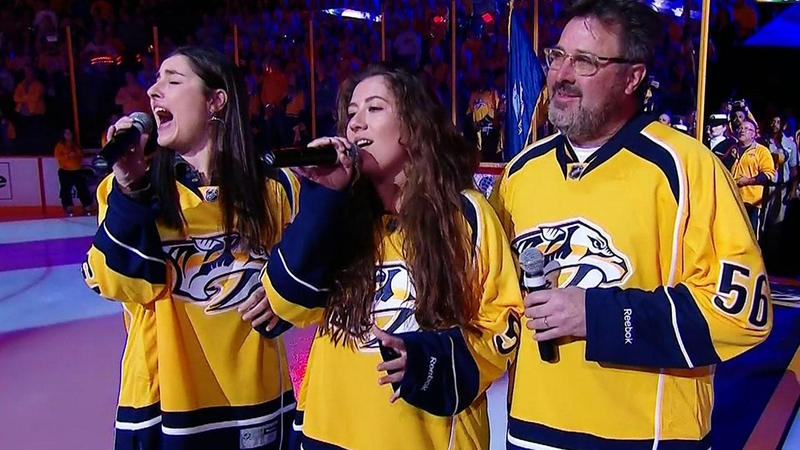 Live bands perform before and after games, country music artists sing the National Anthem (sorry, Jeff Jimmerson), and their crowd gets in on the act with choreographed songs and chants. It’s nuts, and that’s before we even talk about the catfish toss. The fact the crowd thanks their announcer, Paul, when he tells them a period is in its final minute is all you need to know. For all of the above reasons, the Pens having home-ice advantage for this series is so crucial. The first team to win in the other team’s barn immediately becomes the favorite to win the series. 4. There is going to be a lot of yellow. I mean, a lot of yellow. The Pens should up the ante and wear their Stadium Series jerseys for a game, just to see how much yellow everyone can take. When Penguins’ GM Jim Rutherford hired Mike Sullivan, he compared him to Nashville coach Peter Laviolette, someone he got to know very well when the pair was together in Carolina. Fast forward a year and a half and both coaches — both from Massachusetts — are making history as they square off in the Cup Final. Sullivan has been shuffling the deck and pushing the right buttons all postseason to get the Penguins to this point, and a lot of their success can be directly attributed to the moves he’s made. Laviolette got the Preds here by leaning on their strength — their defense — and getting them involved in the offense as much as possible. 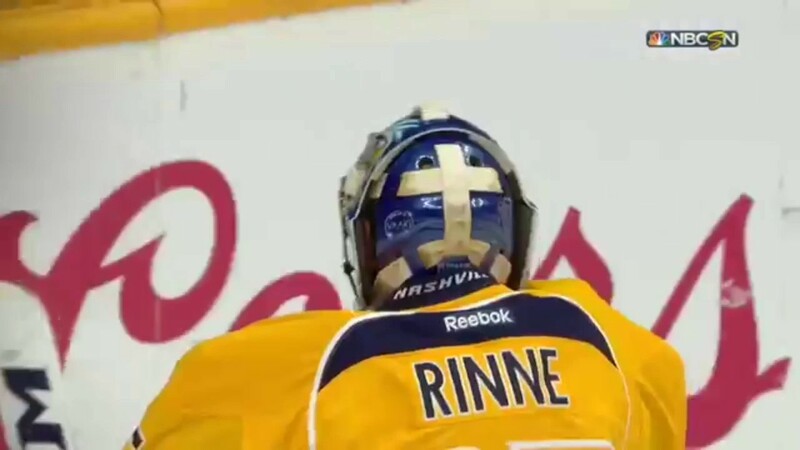 After losing Johansson, he, too, shuffled all of his lines to make up for the loss, and the Preds didn’t miss a beat. Two coaches who know their teams’ strengths, cover the weaknesses, and find a way to get the most from their team … it only makes sense they’re the last two teams standing. We think this series is going to be a good one. We’ll all know more after Game 1 Monday night.